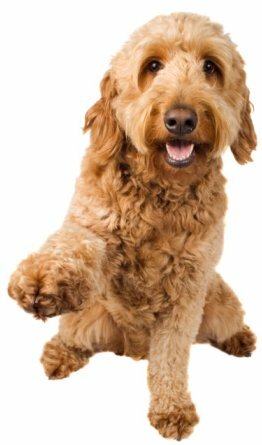 Often called a "Goldendoodle", this is a cross between a Golden Retriever and a Standard Poodle. Yes! There's only one way to do that. You can have his DNA tested. There's a veterinary company called Wisdom Insights that will test your dog's DNA and tell you which breed(s) he is. You can do this right from your own home. No vet visit. No blood tests. Wisdom Insights will mail you a little kit with cotton swabs, which you simply swirl inside your dog's cheek. His saliva contains his DNA. Mail the swabs back, and the company will tell you whether your dog is a crossbred or mixed breed, and which breeds are in his genetic make-up. I think it's a lot of fun to find this out. You might believe that your dog is "mostly Lab" or "half Shepherd" or "a poodle/terrier cross." Now you can find out whether you were right or wrong! Does it help to know which breeds are "in" a crossbred or mixed breed dog? Let's say you've just gotten a puppy who isn't purebred. Will finding out his breed composition mean you can predict what he will grow up to look like or act like? 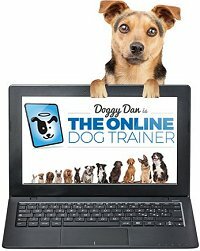 Will it help you raise or train your dog? Crossbred dogs tend to have a moderate appearance. In The Truth About Purebred Dogs, I explain about the deformities that have been inflicted on many purebred dogs – tiny size, giant size, pushed-in face, protruding eyes, short legs, long back, floppy lips, long heavy ears, wrinkled folds of skin. Deformities can only be maintained by continuously breeding such dogs TOGETHER. On the other hand, when a purebred dog with a deformity is bred to a purebred dog without that deformity, the crossbred puppies tend to have an intermediate look. 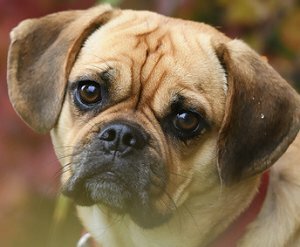 For example, a Pug crossed with a Beagle produces puppies with more natural-looking faces (better for breathing), compared with purebred Pugs. Unfortunately those traits can be, well, a bit of a nuisance when you just want a family pet. Because I haven't told you yet about the DISadvantages of crossbred dogs. Oh yes, there are disadvantages. Also we haven't talked about the misleading hype that many crossbred breeders have spread across the Internet. You need to know how to pick your way through this minefield of misinformation, or else you're going to end up with a crossbred dog who does NOT have a moderate appearance, moderate temperament, and good health. My book, Dog Quest: Find The Dog Of Your Dreams, picks up where we left off, with my insider advice on finding a good crossbred dog. I'll explain how to tell whether a particular cross (such as Labradoodle, Cockapoo, Schnoodle, Puggle....) might make a good pet. You'll learn how to tell which breeders are good sources from which to buy – and which breeders you should run away from, as fast as you can! You'll learn how to adopt a crossbred dog from the animal shelter or from rescue.... how to evaluate temperament and health. And if you should decide, that you might want a purebred dog instead, or even a mixed breed, you're covered. In fact, Dog Quest is perfect for helping you sort out whether a purebred, crossbred, or mixed breed is right for you. 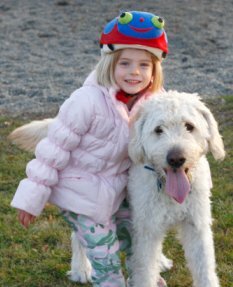 Learn more about Dog Quest.